Retired NASA astronaut Gene Cernan, the last man to walk on the moon, has died, the space agency announced. He was 82. “This is Gene, and I'm on the surface; and, as I take man's last step from the surface, back home for some time to come – but we believe not too long into the future – I'd like to just (say) what I believe history will record: that America's challenge of today has forged man's destiny of tomorrow,” Cernan told Mission Control as he reentered the Challenger lunar module. Cernan was the spacecraft commander for Apollo 17, the last scheduled US manned mission to the moon. The launch was the first manned nighttime launch for NASA, according to his bio. The voyage established several other firsts for manned spaceflight, including: longest manned lunar landing flight (301 hours 51 minutes); longest lunar surface extravehicular activities (22 hours 6 minutes); largest lunar sample return (an estimated 115 kg (249 lbs. ); and longest time in lunar orbit (147 hours 48 minutes). Apollo 17 was Cernan’s third space flight. Prior to the December 1972 launch, he was the pilot for the Gemini IX mission in June 1966 and the lunar module pilot for Apollo 10 in May 1969. He also served as the backup pilot for Gemini 12, as backup lunar module pilot for Apollo 7 and as backup spacecraft commander for Apollo 14. Cernan logged a total of 566 hours, 15 minutes in space, more than 73 of which were on the surface of the moon. 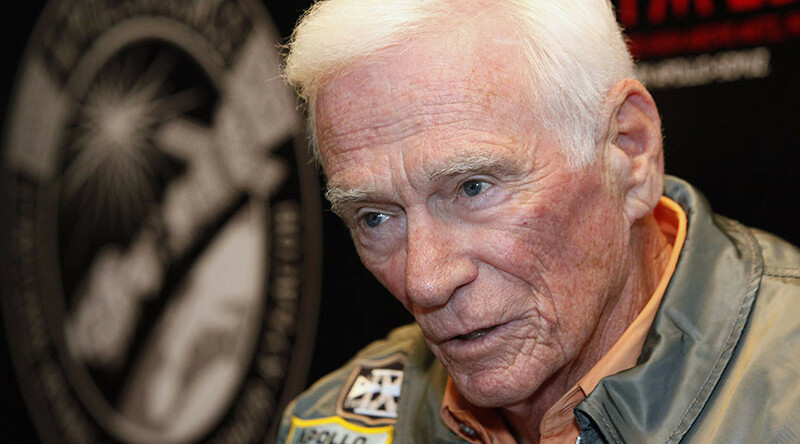 In 1956, Cernan was commissioned into the US Navy through the Navy Reserve Officer Training Corps program at Purdue University in Indiana, where he majored in electrical engineering. Upon his commissioning, he entered flight training. He was assigned to Attack Squadrons 26 and 112 at Naval Air Station Miramar in California. He received a master’s degree in aeronautical engineering from the US Naval Postgraduate School in Monterey California. NASA selected Cernan as one of 14 astronauts to join the agency in October 1963. A decade later, he became the special assistant to the program manager of the Apollo Program at the Johnson Space Center in Houston, Texas. As part of that role, he helped plan, develop and evaluate the joint US-Soviet Apollo-Soyuz mission, including serving as the US negotiator in direct discussion with the USSR. He retired from the Navy and NASA on July 1, 1976. After leaving government service, Cernan joined Coral Petroleum to enhance the company’s energy-related programs. In 1981, he started his own company to pursue management and consultant interests in the energy, aerospace and other related industries. From there, he became chairman of the board of Johnson Engineering Corporation. 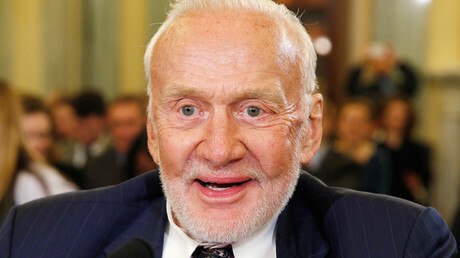 Only six moonwalkers remain, including Buzz Aldrin, the second man to walk on the moon. In late November, Aldrin faced a health scare while visiting the South Pole.